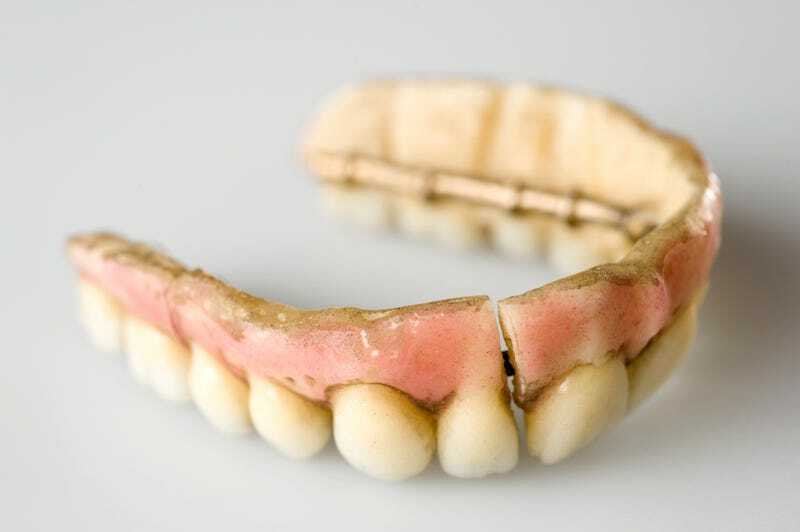 After thousands of years of attempts, dental science has recently managed to replace human teeth with lasting, authentic-looking implants (if still expensively), but for hundreds of years before that, sophisticated dentures were king. 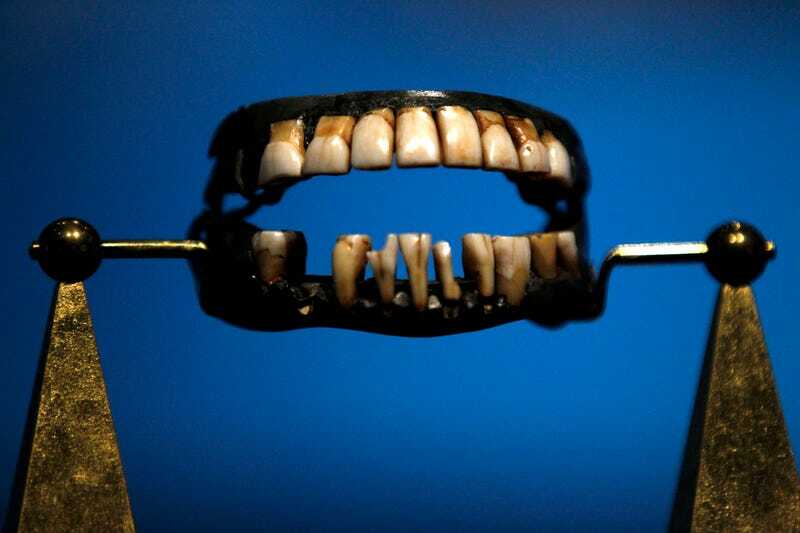 According to historian Scott Swank, who curates the National Museum of Dentistry, numerous examples of dental restoration may be found even earlier in history, but they don’t quite qualify as actual dentures. 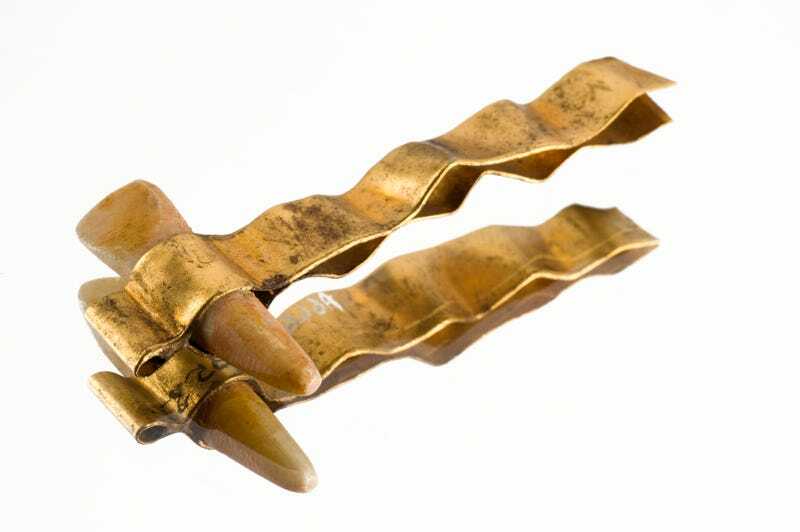 For example, ancient Egyptians developed bridgework to substitute missing teeth, using gold wire affixed to neighbouring teeth to hold one or two false teeth in place – usually ones carved from hippopotamus ivory, or donated by another human. By the 1100s or so, however, humankind was ready to make the leap to full-on dentures; at least, in some corners of the globe. Around this time, Swank said, what historians generally accept as the first-ever dentures began appearing in China and Japan, though few examples from the early Middle Ages survive today. The records and artefacts we do have show that the bases for these dentures were carefully carved out of hardwoods such as boxwood to naturally adhere to the toothless human mouth (thanks to saliva, mucous membranes, and the principles of absorption). False teeth were generally carved out of ivory, and set into the wooden bases. Therein lies the big difference between early Asian and European dentures, Swank said: throughout the Middle Ages and Renaissance, China and Japan produced self-attaching dentures made primarily from wood, while European examples only sprang up in the 15th century, and instead relied heavily on metal. Whatever the reason, European dentists would opt for metal wire, plates, and springs to install patients’ dentures for the next several centuries. Porcelain sets gained some popularity through the 18th century, but chipped easily, and wouldn’t come equipped with more durable (if uglier) vulcanite rubber bases until the 1850s. 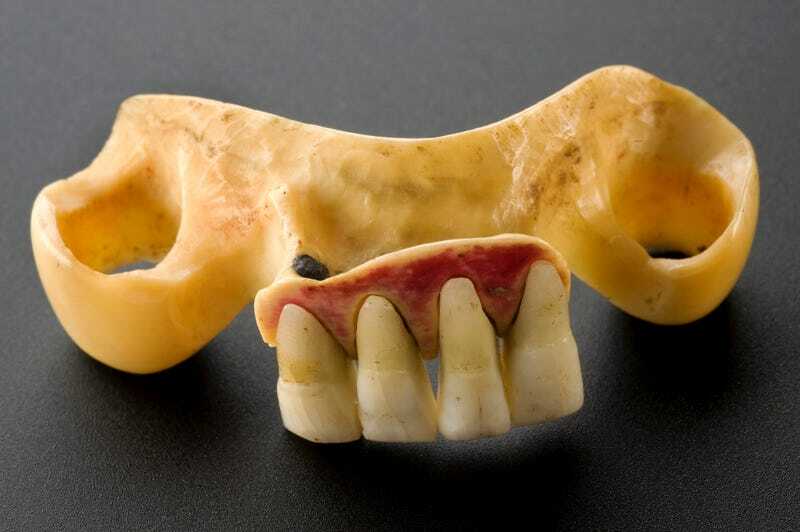 For false teeth, these pre-industrial artisans would use carved ivory or bone, whole teeth from cows or other animals, and even human teeth that had been removed from other patients, sold by willing donors, or recovered from battlefields. In the fledging American colonies, these methods also gained adoption – leading, in fact, to one of the biggest urban myths in US dental history. As Swank explained, President George Washington is well known for having a set of wooden teeth, but he didn’t; all things considered, he probably would have been happier if he did. Washington’s longest-running dentures contained ivory teeth and a spring apparatus designed to keep them in his mouth. They were reportedly quite uncomfortable, which could account for the myth that sprang up in later years: in paintings and perhaps in public, “his countenance was described as ‘wooden,’” Swank said. On the other hand, the misunderstanding could have arisen from a newspaper article published in Philadelphia around the time of the country’s centennial, when Washington’s dentures were on public display. A reporter described their appearance – brown, likely tea-stained, and starting to show ivory’s inner layers that are not unlike rings in a tree – and the public’s takeaway may have been literal. The dentures, which currently reside in the National Dentistry Museum, “probably had a wooden look” to that reporter, Swank said. As any dentist can tell us, however, it’s what inside that counts.